*Darkness in Malaga (Human Trafficking Mystery Deal of the Day, Sponsor, A Grizzled Veteran Detective and a retired soldier hunt traffickers, set in Andalusia Spain) by Paul S Bradley. Price: $4.99. Genre: Human Trafficking Mystery Deal of the Day, Sponsor, A Grizzled Veteran Detective and a retired soldier hunt traffickers, set in Andalusia Spain. Rated: 5 stars on 2 Reviews. 324 pages. Paperback version! ASIN: B07932Y6M4. *The Death of America (Mystery Deal of the Day, Sponsor, The last war America will fight is the one war she cannot win, A plot to destroy America) by Robert L. Stevens. Price: $3.99. Genre: Mystery Deal of the Day, Sponsor, The last war America will fight is the one war she cannot win, A plot to destroy America. Rated: 5 stars on 2 Reviews. 262 pages. Paperback version! ASIN: B0793TX17J. 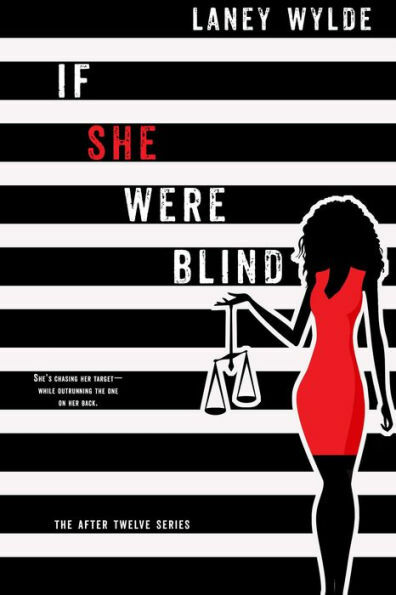 *If She Were Blind (The After Twelve Series Book 1) (Vigilante Thriller of the Day, Sponsor, A genre defying Page Turner, RWA 2018 Finalist) by Laney Wylde. Price: $0. Genre: Vigilante Thriller of the Day, Sponsor, A genre defying Page Turner, RWA 2018 Finalist. Rated: 4.6 stars on 34 Reviews. 173 pages. Paperback version! ASIN: B07FY82KDJ. *Kenyan Heat (Paranormal Romance of the Day, Sponsor, Ife’s life is turned upside down as the two werelions stalk her, wanting to claim her for their own) by A. B. Robinette. Price: $0. Genre: Paranormal Romance of the Day, Sponsor, Ife’s life is turned upside down as the two werelions stalk her, wanting to claim her for their own. Rated: 5 stars on 1 Reviews. 159 pages. ASIN: B07H4487XJ. *Witness Of Love: “When Loyalty Kills” (Paperback) (African American Romance Deal of the Day, Sponsor, It is like watching a movie with every line you read) by Ms. Sylvia W. Allen. Price: $35.00. 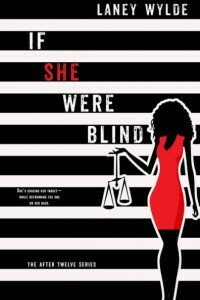 Genre: African American Romance Deal of the Day, Sponsor, It is like watching a movie with every line you read. Rated 4.8 stars on 10 review. 303 pages. ASIN: B07NXQX2KB. *The McCabe Brothers: The Complete Collection (Steamy Dark Romance Box Set Deal of the Day, Sponsor, 5 Book Box Set, NY Times Bestselling Author, A compelling emotional tale about the undeniable power of second chances) by Lorhainne Eckhart. Price: $0.99. Genre: Steamy Dark Romance Box Set Deal of the Day, Sponsor, 5 Book Box Set, NY Times Bestselling Author, A compelling emotional tale about the undeniable power of second chances. Rated: 4.8 stars on 18 Reviews. 829 pages. ASIN: B07257SBV4. ***Cold Lonely Courage: Novel war (ENC.ROMANS) (Military Thriller Deal of the Day, Sponsor, Madeleine is in war against the Germans to protect herself and her brother) by Soren Paul Petrek. Price: $7.49. Genre: Military Thriller Deal of the Day, Sponsor, Madeleine is in war against the Germans to protect herself and her brother. Rated: 4.4 stars on 326 Reviews. 364 pages. ASIN: B07MTML6CJ. *Wild Hearts: The Coming Night (Science Fiction Deal of the Day, Sponsor, Last stand for Earth, Alien Invasion, Space Battle) by Andrew Wichland. Price: $2.99. Genre: Science Fiction Deal of the Day, Sponsor, Last stand for Earth, Alien Invasion, Space Battle. Rated 4.5 stars on 6 review. 145 pages. Paperback version! ASIN: B07F43CY3F. *Shadow Life (Futuristic Thriller Deal of the Day, Sponsor, someone wants Hans Ricker dead, A near future world of complex political arrangements and fascinating new technologies) by Jason Mather. Price: $1.99. Genre: Futuristic Thriller Deal of the Day, Sponsor, someone wants Hans Ricker dead, A near future world of complex political arrangements and fascinating new technologies. Rated: 4.5 stars on 22 Reviews. 306 pages. Paperback version! ASIN: B077BWJ3RS. *Chosen (Demon Hunter, #1) (Horror Deal of the Day, Sponsor, A dangerous, ancient book that probably shouldn’t exist, help of a girl who can handle a lot more than a little horror, Ben and Peter have to go back to the one place they never wanted to see again to free their friend) by Adam Dark, Matthew Thrush. Price: $0.99. Genre: Horror Deal of the Day, Sponsor, A dangerous, ancient book that probably shouldn’t exist, help of a girl who can handle a lot more than a little horror, Ben and Peter have to go back to the one place they never wanted to see again to free their friend. Rated: 4 stars on 1 Reviews. 247 pages. ASIN: B07MS5NDW2. *Elji and the Galrass (Science Fiction Deal of the Day, Sponsor, Many lives must be put in danger to put civilization into its rightful place among the Universal essence) by Colin Sinclair. Price: $3.99. 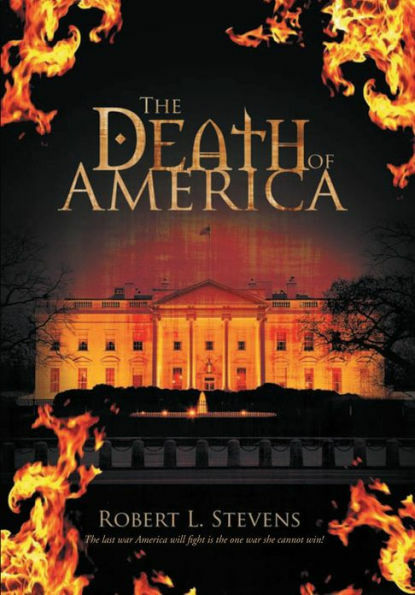 Genre: Science Fiction Deal of the Day, Sponsor, Many lives must be put in danger to put civilization into its rightful place among the Universal essence. Rated 4 stars on 2 review. 197 pages. Paperback version! ASIN: B07DZJ6LRZ. *Another Day, Book 1 (Delta Flight) (Science Fiction Deal of the Day, Sponsor, Military SciFi, Alien Invasion, As Nukes Fly and the End of the Earth Beckons, Aliens show up for the party) by Terry A Perrine, Brian Paone. Price: $3.99. Genre: Science Fiction Deal of the Day, Sponsor, Military SciFi, Alien Invasion, As Nukes Fly and the End of the Earth Beckons, Aliens show up for the party. Rated: 5 stars on 1 Reviews. 211 pages. Paperback version! ASIN: B07PJ57S19. ***The Wild Hunt (Faerie Sworn, #1) (Fantasy Fairy Tales of the Day, Sponsor, Mythology & Folk Tales) by Ron C. Nieto. Price: $0. Genre: Fantasy Fairy Tales of the Day, Sponsor, Mythology & Folk Tales. Rated: 4.4 stars on 142 Reviews. 308 pages. ASIN: B00KO76LC0. *Forgotten By the Sun (YA Fantasy Deal of the Day, Sponsor, An ordinary teenage girl must decide between the life she knows, and the life she might have, Can she handle the truth about the world in which she lives) by Celeste Eismann. Price: $0.99. Genre: YA Fantasy Deal of the Day, Sponsor, An ordinary teenage girl must decide between the life she knows, and the life she might have, Can she handle the truth about the world in which she lives. Rated: 4 stars on 5 Reviews. ASIN: B07MZ5VSDK. *Lumen and the Thistle (YA Fantasy of the Day, Sponsor, He’s diagnosed with minor schizophrenia, but he doesn’t feel sick, he sees panels of lights that others can’t) by EJ Wozniak. Price: $0. Genre: YA Fantasy of the Day, Sponsor, He’s diagnosed with minor schizophrenia, but he doesn’t feel sick, he sees panels of lights that others can’t. Rated: 4.9 stars on 19 Reviews. 249 pages. ASIN: B07LDHM4QL. *Pippin and the River of Wonders: A Voice for Wildlife (Children’s Books Deal of the Day, Sponsor, Animals and protecting Wildlife, Hilarious Adventure for Children) by DVM Stacey Gerhart. Price: $4.49. Genre: Children’s Books Deal of the Day, Sponsor, Animals and protecting Wildlife, Hilarious Adventure for Children. Rated 5 stars on 12 review. 103 pages. ASIN: B07NDLXWFH. *Jabulani (Childrens Picture Books by Age 6-8 Christian Child) (Children’s Magical Fantasy Deal of the Day, Sponsor, A tale of a young girl, her brother, and friends in the world of Pondlife, where they encounter magic, shapeshifting, fairies and monsters in a battle between good and evil) by Jonathan J Stotler, Beth Restrick. Price: $3.99. Genre: Children’s Magical Fantasy Deal of the Day, Sponsor, A tale of a young girl, her brother, and friends in the world of Pondlife, where they encounter magic, shapeshifting, fairies and monsters in a battle between good and evil. Rated: 4.8 stars on 10 Reviews. 32 pages. ASIN: B07965GC9N. *Awakening (The Euphorian Era Trilogy, #1) (New Age Fiction Deal of the Day, Sponsor, What if harder obstacles in life, means you have a greater destiny in front of you) by Michael Estafo, Sabrina Estafo. Price: $0.99. Genre: New Age Fiction Deal of the Day, Sponsor, What if harder obstacles in life, means you have a greater destiny in front of you. Rated: 4.6 stars on 19 Reviews. 292 pages. ASIN: B07P5TN3H6. *Live True: A Mindfulness Guide to Authenticity (Nonfiction Deal of the Day, Sponsor, How to connect with our authentic selves, experience joy and peace) by Ora Nadrich, PhD Ronald A. Alexander (Foreword by). Price: $17.95. Genre: Nonfiction Deal of the Day, Sponsor, How to connect with our authentic selves, experience joy and peace. Rated 5 stars on 47 review. ISBN: 0578432102. *Nacer con estigma, vivir con alegría (Spanish Non Fiction Deal of the Day, Sponsor, How to Live with Joy, Vivir Con Alegria, Find Personal Success) by Bernardo García. Price: $15.99. Genre: Spanish Non Fiction Deal of the Day, Sponsor, How to Live with Joy, Vivir Con Alegria, Find Personal Success. Rated 5 stars on 1 review. 185 pages. ASIN: B07NF3V7Q6. *Emotional Dimensions of Healthcare (Non Fiction Health and Wellness Deal of the Day, Sponsor, The connection between our emotions and our behaviors and our health outcomes, Written by the CEO of an award winning Non Profit Human Service Agency) by David Woodlock. Price: $3.99. Genre: Non Fiction Health and Wellness Deal of the Day, Sponsor, The connection between our emotions and our behaviors and our health outcomes, Written by the CEO of an award winning Non Profit Human Service Agency. Rated 5 stars on 1 review. 254 pages. Paperback version! ASIN: B072397JM4. *Departure From Indifference: Probing the Framework of Reality (Nonfiction Deal of the Day, Sponsor, Material qualities alone cannot account for all that’s human, Limitations of material world discussed, and insights into understanding reality) by Octavio A. Melo. Price: $2.99. Genre: Nonfiction Deal of the Day, Sponsor, Material qualities alone cannot account for all that’s human, Limitations of material world discussed, and insights into understanding reality. Rated: 5 stars on 1 Reviews. 84 pages. ASIN: B07P6MQQNW. *I Was a Teenage JFK Conspiracy Freak (Nonfiction Deal of the Day, Sponsor, The John F, Kennedy Assassination, A beautifully written and compelling book, Litwin tells the bold unvarnished truth) by Fred Litwin. Price: $2.99. Genre: Nonfiction Deal of the Day, Sponsor, The John F, Kennedy Assassination, A beautifully written and compelling book, Litwin tells the bold unvarnished truth. Rated: 4 stars on 14 Reviews. 274 pages. ASIN: B07HBS6QY4. *Christianity A Successful Failure: Finding Faith in an Age of Fear and Falsehood (Non Fiction Books Deal of the Day, Sponsor, Non Fiction, Find Faith, Find out the Truth about Christianity) by Timothy M Spiess. Price: $4.49. Genre: Non Fiction Books Deal of the Day, Sponsor, Non Fiction, Find Faith, Find out the Truth about Christianity. Rated: 4 stars on 2 Reviews. 471 pages. ASIN: B07H74SRLN. *Leadsology: Marketing The Invisible (Business Nonfiction Deal of the Day, Sponsor, Excellent Strategy to generate Leads, What your ideal clients need to hear to confirm that investing with you is the right thing to do) by Tom Poland. Price: $9.99. Genre: Business Nonfiction Deal of the Day, Sponsor, Excellent Strategy to generate Leads, What your ideal clients need to hear to confirm that investing with you is the right thing to do. Rated: 5 stars on 2 Reviews. 330 pages. ASIN: B07H4CQLW6. *The Soulful Leader: Success with Authenticity, Integrity and Empathy (Business Non Fiction Deal of the Day, Sponsor, How to Succeed as a Soulful Leader, Lead with Authenticity and Integrity) by Arthur P. Ciaramicoli. Price: $8.99. Genre: Business Non Fiction Deal of the Day, Sponsor, How to Succeed as a Soulful Leader, Lead with Authenticity and Integrity. Rated: 4 stars on 5 Reviews. 131 pages. ASIN: B07N8YG5J1.